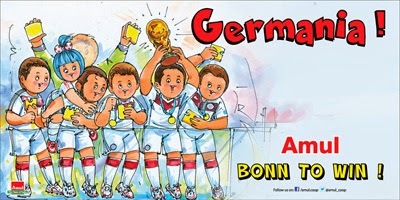 Germany won the 2014 Fifa World Cup with a 1-0 victory over Argentina. 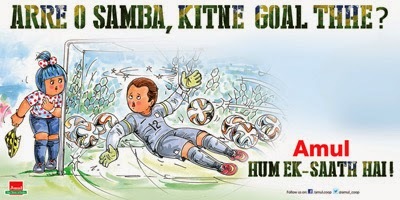 The chief architect of the victory was Mario Goetze who volleyed in the winning goal in the 113th minute. 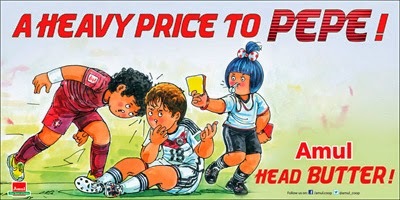 This was Germany's fourth world cup victory, the first as an united nation. 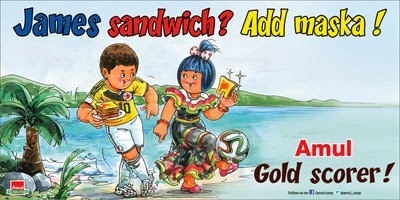 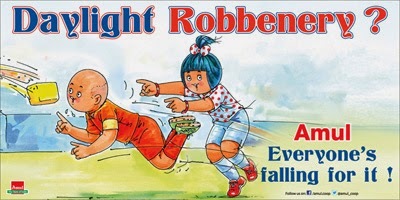 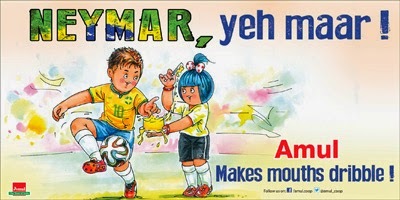 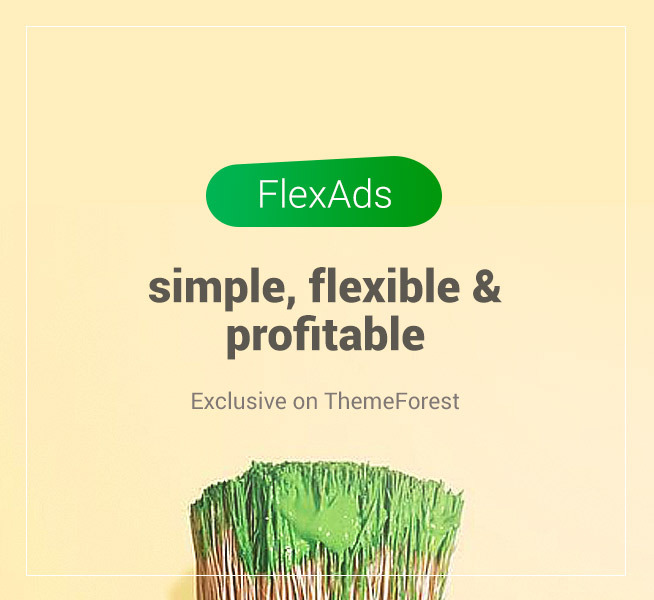 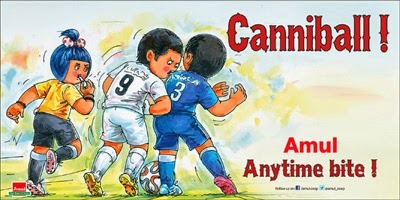 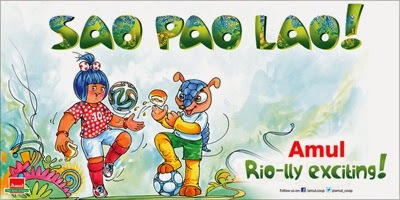 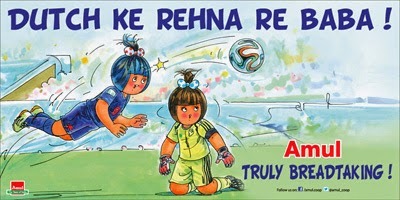 In this post we visit all the 2014 World Cup themed advertisements (all featuring the witty amul girl) released by Amul during the month long extravaganza.